Have any non-devs beat the game yet? I've made it to the winter area, and can make it to the desert area pretty much every time, but have yet to beat the game. I believe Mike Schneider has gotten to the final boss! Actually @benedictfritz he died at the end of the fourth biome. I just got to the final boss, with the help of the crystals = armor aura, but I was not able to beat it. Okay. I have to go to bed. 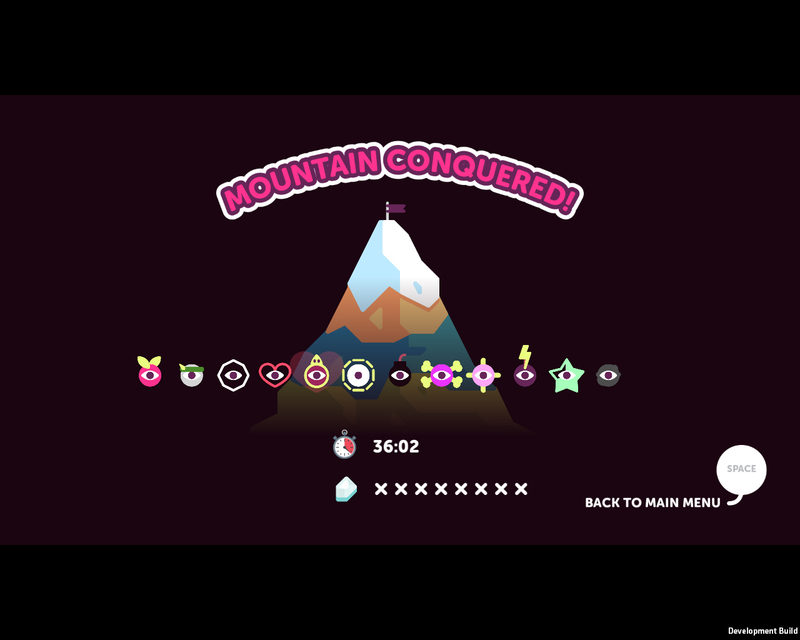 Made it to the very top again (top of mountain visible on screen, second time in a row). Didn't finish because when the boss is aiming the laser, the coloured pads are grey and I got clipped by a red dot which I thought I was above, but barely not. The boss is great. I still think the difficulty of everything is a bit much, and can't help but continue wondering aloud if the game doesn't need a New Game plus mode to capture much of what you guys are doing with the biomes currently (which, if they are meant to be harder than the Indiecade/XOXO/PAX build, means you are calibrating for masters of your game). Beat the game tonight! Used the "pop out aura" twice on my way up, but had to stop using it once the final boss fight started. In the second or third biome I used the knight seed to destroy a massive cluster of enemies at least twice. 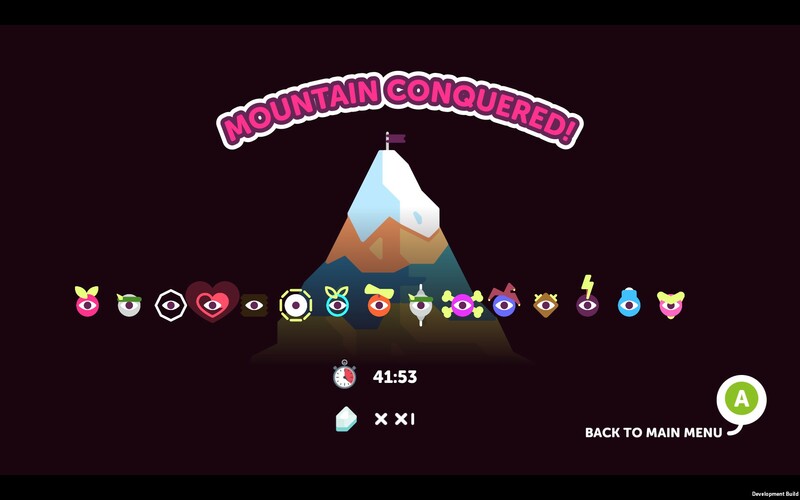 At one point I had 41 crystals and 9 hearts. Don't think I could have possibly finished the boss without the star seed shielding me while I scrambled up to the special plots. Fell once during the boss fight, and the alternating rows of blood drops are fun but sometimes it's really hard to build up momentum if you're still. My hole dodging skills have gotten really good and that's deeply satisfying to realize. Super fun but I felt very lucky! Never used my warp seed, knight seed was great for clearing huge swarms, and I went nuts with the heart seed once I had that sweet sweet swarm cash. Didn't even get a Digseed or Gardener. Hard mode. Also, that's a really fast run for me. The one right before it took me 58min. Duuuude, nice! Interesting to see our different playstyles based on only the number of seeds and crystals you have. What was your overall strategy? Looking at your seeds I'd guess you're diligently farming mobs with your offensive seeds then proceeding with caution and wealth. Holy crap, that's a lot of crystals. I may not be complete, I might revisit that post and write more. Wait, is the snake at the top a different colour depending on the play-through? That would be rad. Or is it just because he is shootah his lazers in the tehawesome's screenshot. Went all-money in the jungle. Was pretty rich by Camp #1. Beat the race and made about ~5 crystals profit, but money in the bank. Bought a star seed. Picked up a homing seed in the second world. Used it to deal with all the mobs that spawn, got rich from that too. Got through the desert with the homing seed, mostly. Would plant on early so it'd seek out enemies I couldn't even see yet. Ended up rich from that too. Side note: Wow, homing snakes are terrifying. Nothing scarier than planting a homing seed with a snake hot on your trail, just to have the seed shoot inside the snake and kill it while launching debris at you. By Camp #3 I had about 60 crystals. Spent 40 on a "turns holes into plots" seed. I thought I'd be able to cash out at the bank because I'm pretty sure I didn't cash out at #2, but I could not! Made it through world 4 using mostly homing seeds and careful movement. 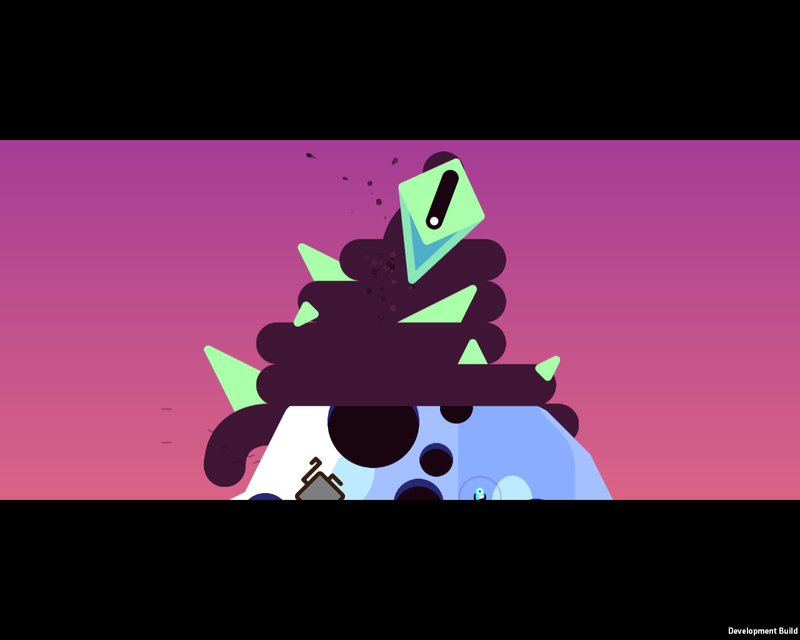 For the final boss, I used all a homing seed to take care of the initial blue turret, then spend homing seeds to clear out a couple enemies, then spent a ton of my crystals on "turn holes into plots" seeds. Since I was down to 1 heart, I spent my new plots on heart seeds, then on star seeds (which I then used to crash into the enemies I thought would kill me most, which were spiders and turrets). Only just now realized that each subsequent boss-damage plot adds another boss beam shot shot at you, so for the third-to-last and second-to-last hits I found myself rolling down into the safe area I'd made by spending a fortune on holes-into-plots seeds. Never used teleport-to-next-splot, thomp, or boomerang seeds. Used a shield seed once but don't recall it absorbing any hits. Used a reflect seed once but it only reflected my own homing-seed-explosion away from me. Still a very fun game!!! Gonna feel good the rest of the day, probably. Video games, eh. Thwomp is game changing once you get the hang of it. To sum up the run: I chose a Thwomp in my first crystal room and had it go to town on enemies in the Forest and Jungle. My patience paid off. At one point, I had 85 crystals, and that's before I cashed out at the bank post-Jungle. So, I most likely topped out at around 100 crystals. I was able to invest a lot of that money in hearts along the way, which paid off due to some clumsy mistakes in the Desert, costing me around 6 hearts or so. What won me the game was the Gardener and Storm (?) seeds for the final boss. Being able to create more plots combined with filling other holes with water allowed me the freedom to use a Thwomp to clear the area and maneuver around the missiles from above. That definitely brought down the difficulty, but considering everything I had done for the last 40 minutes, I felt like I earned that. :) I won't be expecting a run like that for a while. I'm noticing that screenshots on Imgur aren't showing up in the itch.io browser, but they do in Chrome.